Do you want to become a police officer in the state of Illinois? Illinois has over 41,277 sworn police officers. Preparing for the Illinois state police written exam will help you become one of those sworn officers. JobTestPrep can help you prepare for your exam, with all the information you need on various Illinois police exams, comprehensive practice tests and study guides designed to help you on your way to becoming a police officer. Since some exams are used in various cities/towns, we have provided the name of the city or town, to make it easier to find the police exam you are looking for. To join the following police departments Addison, Champaign, Coal City, Evanston, Gilberts, Lockport, Oak Brook, and South Beloit you must take the National Police Officer Selection Test (NPOST). The NPOST by Stanard & Associates is designed to test abilities and skills required to be a successful police officer. The NPOST exam is made up of four separately-timed test sections. The first three sections (Mathematics, Reading Comprehension and Grammar) utilize multiple-choice and true/false type questions. The fourth section, Incident Report Writing, requires you to write out your own Incident report. In the Mathematics section, you will have 20 minutes to complete 20 questions. The Reading Comprehension section contains 25 questions which needs to be completed in 25 minutes. The Grammar section contains 20 questions which needs to be completed in 15 minutes. The fourth section, Incident Report Writing, asks you 10 questions and you will have 15 minutes to complete this section. To become an Illinois State Trooper or an Arlington Heights police officer you need to take the National Criminal Justice Officer Selection Inventory (NCJOSI) exam created by IO Solutions. The NCJOSI tests measure important cognitive abilities and personality attributes that are necessary for successful job performance. The first section of the exam tests your cognitive abilities. This part of the exam consists 45 multiple-choice questions spread out over four areas: problem-solving ability, reading comprehension, mathematics, and writing ability. The second section measures various job-related personality attitudes and characteristics. It consists a total of 42 behavioral statements. You will have 1.5 hours to complete the exam. 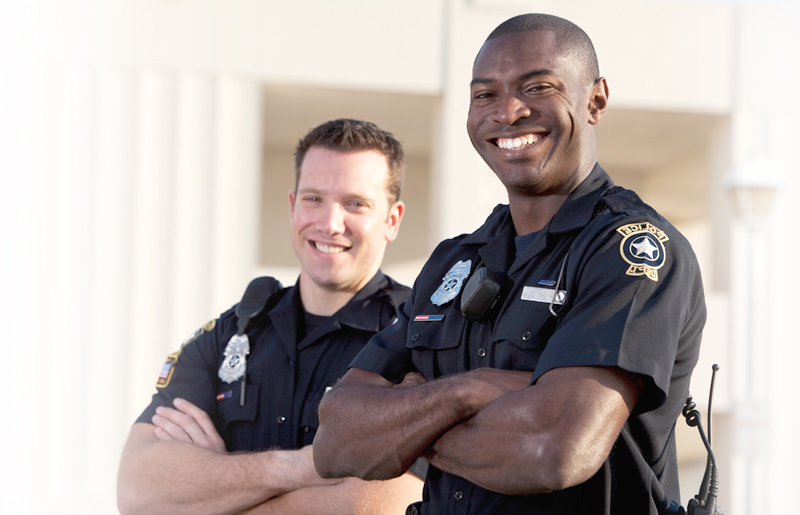 To become a police officer in Aurora or Elgin, Illinois you need to take the National Testing Network exam, also known as the FrontLine National Testing System which is provided by Ergometrics. The exam consists of 2 tests: a Video-Based Human Relations and Judgment Test and the Writing Test. The writing test is broken down into two parts. The first part is writing a report and the second half is a multiple-choice writing and reading test. You will have 3 and a half hours to complete the exam. The Chicago Police recruitment process is very competitive. You will need to be as prepared as possible for the exam. A higher score on the test will raise your chances of passing. The exam is known as the Chicago Police Officer Exam (CPOE). It is a 2.5-hour exam, containing 80 multiple choice questions. The exam tests your cognitive skills in 10 different sections. The sections that can be found on the exam are deductive reasoning, flexibility of closure, inductive reasoning, information gathering, problem sensitivity, selective attention, spatial orientation, verbal comprehension, verbal expression, and visualization. The following departments apart of the Southwestern Illinois Joint Fire & Police Recruitment & Testing Consortium: Collinsville, Edwardsville, Fairview Heights, Highland, O’Fallon, and Troy. The exam that is required by the Consortium is the IPMA-HR Police Officer Entry Level Series Exam. The exam was designed to assess whether or not you have basic abilities necessary to learn and perform to be a successful police officer. You will be given 25 minutes to study the study packet. Afterwards, the study packet will be collected and you will have 1 hour and 45 minutes to complete the test booklet, which contains 100 multiple-choice questions. To join the Rockford police department you must take the Entry Level Law Enforcement test created by CWH Research. The exam consists of 168 questions. You will be allowed 3 hours and 15 minutes to complete this exam. You must achieve a score of 70 to pass.The exam consists of questions that measure your basic skills and aptitudes, along with situational questions. It also contains questions that ask how you feel or think about a specific topic, or that ask you to describe yourself in various ways. To join the Skokie police department you must take the Law Enforcement Selection Tool (LST) by IO Solutions. The LST test measures various areas related to law enforcement officer performance. The test is made up of two areas: cognitive abilities and non-cognitive traits. The LST police test contains 120 non-cognitive test questions and 70 cognitive questions. you will have a total of 2 hours and 30 minutes to complete the exam. The non-cognitive section of the exam has two main categories: work styles (personality test) and biographical data. The questions will be either behavioral statements or multiple choice questions. The cognitive abilities section of the exam assesses seven different areas: deductive reasoning, flexibility of closure, inductive reasoning, information ordering, spatial orientation, written expression and written comprehension. These areas have been proven to be necessary to be successful as a law enforcement officer. To become part of the Springfield Police Department, you must pass an IO Solutions police written exam. The written exam consists of both a cognitive and behavioral component. The cognitive section of the exam measures the following abilities: problem-solving, reading comprehension, mathematics, and writing ability. The behavioral section of the exam should be answered honestly. A passing score on the exam is 70%, only those who pass will move on in the recruitment process. Now that you know about the police test you need to take to become a police officer in Illinois, you can start preparing. JobTestPrep can help you achieve your goal by familiarizing you with Illinois police exams through our custom-made Police Pack which includes over 1,500 questions, answers and explanations and a personality test to help you ace the exam. IO Solutions, NPOST and other trademarks are the property of their respective trademark holders. None of the trademark holders is affiliated with JobTestPrep or this website.